If you love southwestern flavors, this Southwestern Hummus Dip is for you! 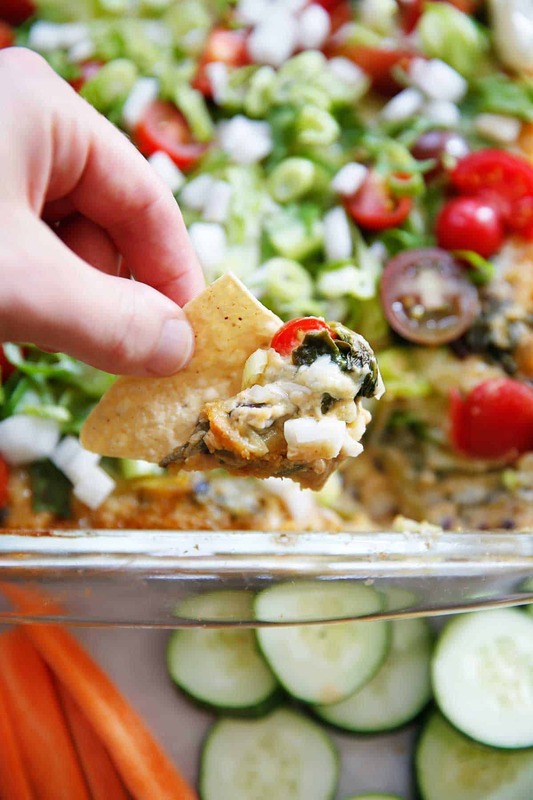 It is such a fabulous vegetarian dip for entertaining or to enjoy as a snack! If you haven’t made my first hummus dip and you are skeptical about baked hummus, I promise, it is so so good. Veggies, beans, and spices; cooked to perfection! Baked hummus is my new go-to game day dip because it is so easy to make and is perfect for prepping ahead of time. I throw it all together and top it with cheese, then cover and refrigerate until ready for baking. Simply bake, add your garnishes, and serve! Go ahead and garnish! Then grab veggies and tortilla chips, and get dipping! Add the onions, peppers, and spices to the skillet. Sauté until the onions are translucent and the peppers start to soften about 3-5 minutes. Add the black beans, corn, and spinach and sauté until the spinach just starts to wilt. Take off heat and set aside. Pour hummus into an 8x8 baking dish. Spread evenly. 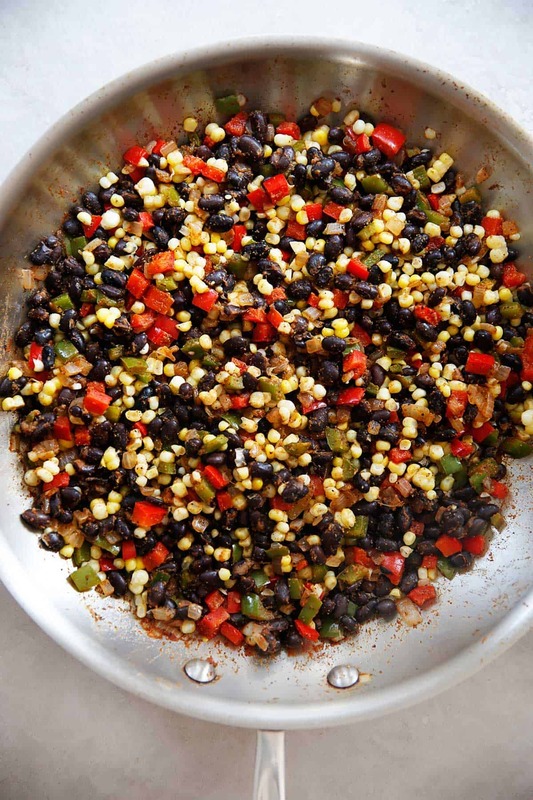 Pour in black bean mixture and spread evenly. 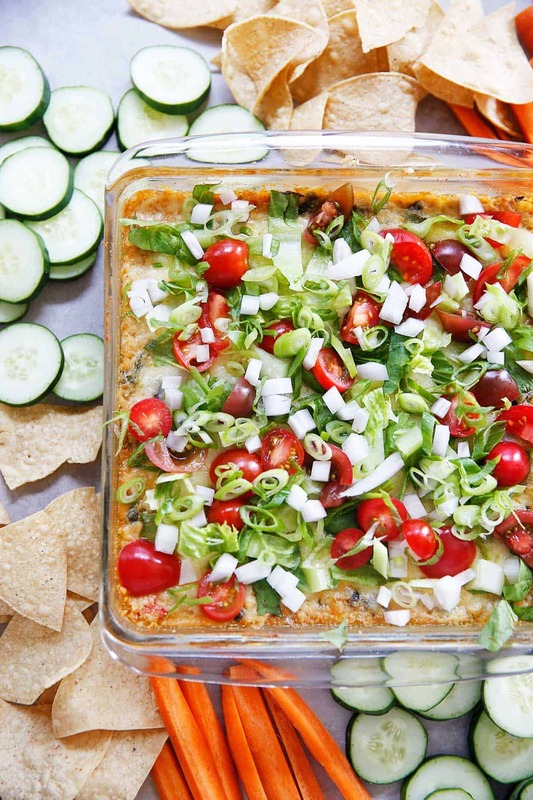 Top with garnishes and serve warm with cut-up vegetables and tortilla chips! I made this for a New Year’s Eve appetizer and it was absolutely delicious! This sounds so good! I would make my own hummus and perhaps my own crackers instead of chips. I made this last night! It was great! I used vegan cheese (Daiya) for the cheese and it will now be my go to appetizer!